If you’re on the lookout for a quality hardwood floor resurfacer in Bethel Park, we’ve got your back! Featuring industry professionals with a work ethic that stands out among the rest, we will return the beautiful shine your wood flooring once had! Our process is virtually dust-free – This means that you don’t have to worry about the quality of your home’s air and that you don’t have any cleanup when we leave. Our methods save time – Since this isn’t a full refinishing service, our resurfacing treatments can usually be completed in less than a day. Resurfaced floors add value – Our resurfacing treatment is a low price alternative to replacing floors before you sell your home. Don’t wait! Give us a call today at (412) 212-6400 and get back that original shine! 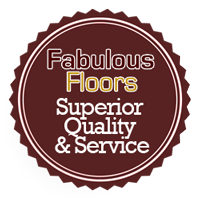 Contact us today to see why Fabulous Floors Pittsburgh is the smart choice for your hardwood floor renewal needs in Bethel Park!